This newsletter's essay reflects on the brief meditation I do before each session with a client. The "Resources" section features Jasper Lepak's poignant song "I Know A Woman," plus a photo I took while on retreat nearly a decade ago, a quote about imagination, and more. And there are also details about the workshop "What Astrology Can Do For You" that I'll be offering on Saturday morning September 15th. In the midst of this world's scorching summer heat, may you find here something that leaves you feeling cool, shaded, and refreshed. May this be an open, empty time, and an open, empty space, where the only thing that’s being looked for is this client’s own, true, deep, inner voice, and their own, true, deep, inner agenda for living. May I be witness, container, and guide—a worthy vessel for psyche, spirit, soul. Clients often come to therapy feeling vulnerable, confused, and hurt. In such a state, they frequently want the therapist to tell them what to do, to give them answers that will take away their pain. But decades of experience have taught me this: answers that come from outside a client don’t hold up over time. Beneath their vulnerability, confusion, and pain, clients have their “own, true, deep, inner voice” that speaks of an “agenda,” a way of seeing their dilemma and a way through it, that is truly and authentically their own. My job is to help them listen for that voice, and to heed its wisdom. My pre-session meditation reminds me of three things I can be for my clients. I can be a witness—someone who attentively and compassionately sees and hears them. I can be a container—that which will safely hold and protect their process while they explore possibilities and discern choices. And I can be a guide—an experienced, skilled, and trusted traveler who knows something of how to navigate one’s own inner terrain. That inner terrain is where the deeper, wiser voice in each of us resides, and that voice goes by many names. Three that I include in my meditation are psyche, spirit, and soul. “Psyche” and “soul” are actually a bit redundant, since psyche is in fact the Greek word for soul, but as a lover of language, I like the rhythm and cadence of using both. (song/video): "I Know A Woman" (Jaspar Lepak). A concert poster in the lobby of my local library brought Jaspar Lepak to my attention. Some perusing online turned up this song, with lyrics that seem poignant, timely and powerful in today's cultural landscape: "And I want to sing you / a song that receives you / as you wake to a world where you're second to none / where your life is your song and your song will be sung." Visit Jaspar Lepak's web site, and read the lyrics to this song. (conference): "The Care of Souls: The Curum Animarum." Feb 22-24, 2019. This Jungian-oriented conference aims to restore the care of souls tradition for today's healing professionals. 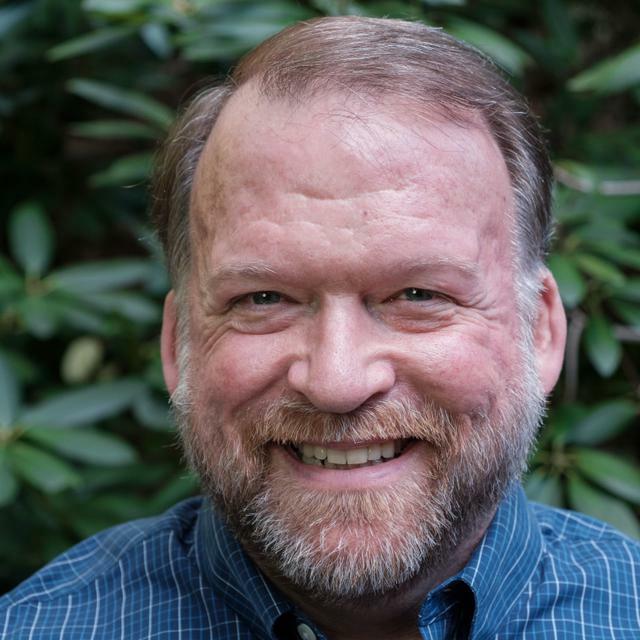 Featured keynote speakers will be Matthew Fox and Ann Ulanov, plus a special evening event with David Whyte, and a variety of breakout sessioins. Mark the dates in your calendar now. For details (coming soon), visit the web sites of the conference's co-sponsors: The C.G. Jung Institute of Seattle, and the Washington Pastoral Counseling Association. 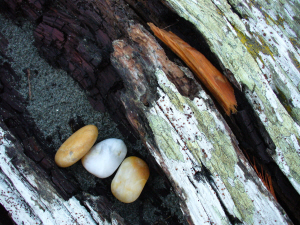 (photo): "Sea Stones in Driftwood, Kala Point" (Dan Keusal). Some years ago, a friend generously offered the use of her condo on Kala Point near Port Townsend for a retreat. Walking the beach one evening, I came upon this piece of driftwood. Click on the photo to read more about it, and to download your own copy from my web site.